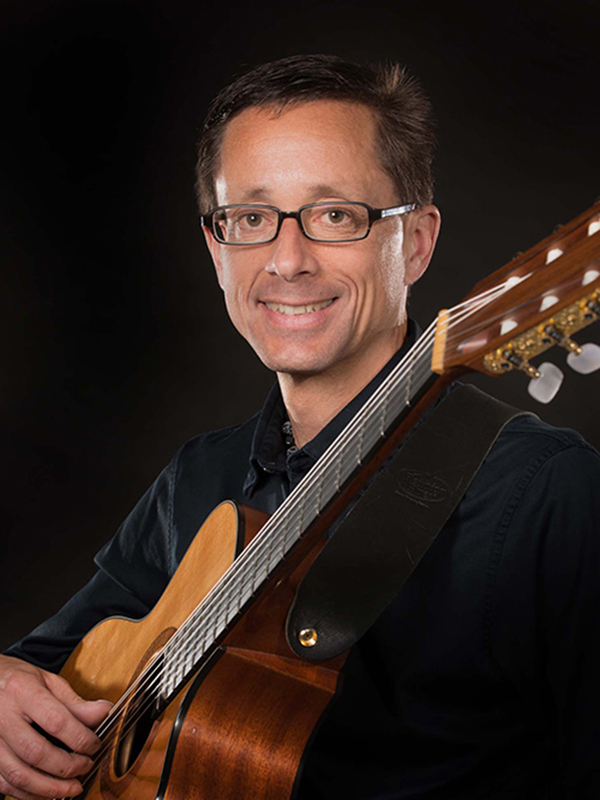 A native of Vermont, Dr. Peter Bouffard has been a member of the Glenn Korff School of Music faculty since 1990 where he has taught applied guitar, jazz theory, jazz improvisation, jazz performance practice, and jazz styles & analysis, in addition to directing large and small jazz ensembles. He holds a DMA in Jazz Performance Studies from the New England Conservatory of Music, an MM in Jazz Education from UNL, as well as an AS in Jazz and Contemporary Music and a BMEd from the University of Maine. Additionally, Dr. Bouffard has been a member of the Lincoln Public Schools instrumental music faculty since 1993, and was Director of Jazz Activities for the University of Maine Summer Youth Music program for eighteen years. He is an active guitarist in the region where he performs for a variety of engagements, and has been an adjudicator, clinician, and/or director for a variety of musical events and organizations including the Maine All-State Jazz Combo, the Nebraska All-State Jazz Band, the Iowa Jazz Championships, and University of South Dakota Jazz Festival. As a composer and arranger, his works have been commissioned for jazz ensemble, symphony orchestra, brass quintet, symphonic band, trumpet ensemble, and jazz vocalists. Dr. Bouffard has toured as a member of the UNL Faculty Jazz Trio presenting concerts and clinics in Iowa, Kentucky, Maine, Nebraska, Ohio, South Dakota, and Vermont; and has performed internationally in France, Germany, Japan, and Switzerland. He has studied privately with John Abercrombie, Jerry Bergonzi, Gene Bertoncini, and John McNeil; and has participated in master classes with Pat Metheny, Herb Ellis, and George Russell. In addition, he has had the opportunity to perform with a number of well-known jazz artists including Marian McPartland, Bob Brookmeyer, and Steve Allen.